← Michael Lange OD develops new all in one eye vitamin / multivitamin. 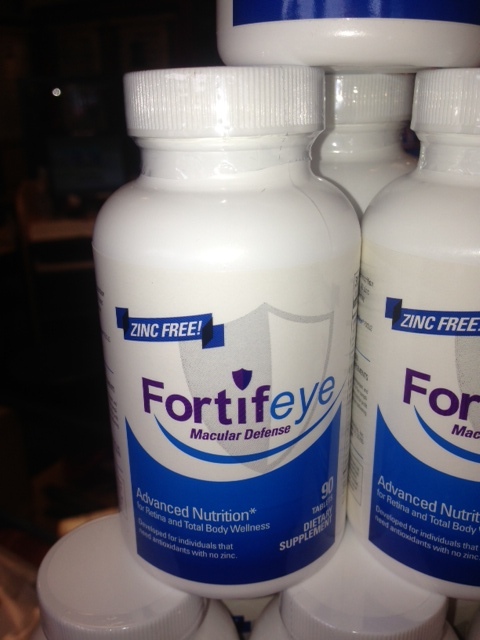 The first Zinc Fee Genotype Directed Macular Degeneration Vitamin developed by Michael Lange OD for Fortifeye Vitamins. This entry was posted in Uncategorized and tagged cns, developed by michael lange od, dr michael lange, michael lange od, nutritional research for macular degeneration, zinc free fortifeye macular defense, zinc free genotype directed macular degeneration vitamin. Bookmark the permalink. these new Zinc free Macular degeneration vitamins are available in both Ocala Lange Eye Care locations as well at The Lange Eye Institute in The Villages.